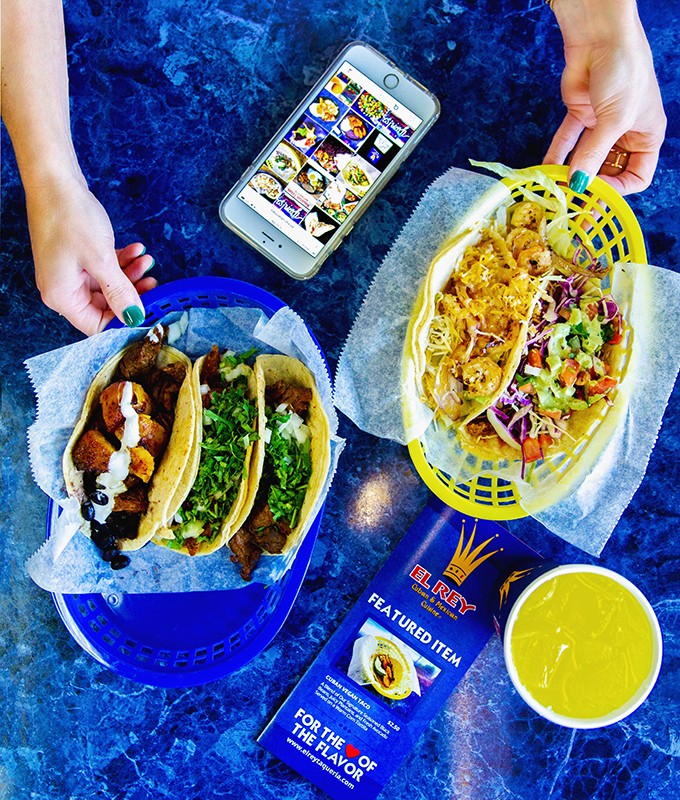 When thinking about favorite foods, tacos always top the list. Maybe it’s because we live in Houston and there’s no shortage of mouth watering Mexican food down here or maybe it’s just because tacos are that good, but you’ll find most of our team eating tacos multiple times per week. But really who doesn’t love tacos? We’re all about efficiency these days, and they’re actually a very efficient food if you think about it! Forks and knives aren’t needed, and you can simply grab your taco (or let’s be real – “tacos” plural, because you can never have just one taco!) and go. Here’s the thing, though. 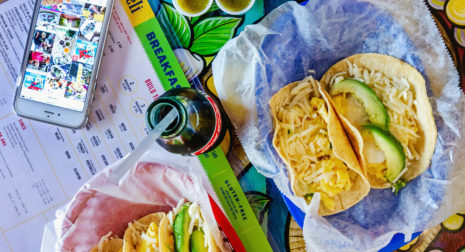 There are so many places to get tacos in Houston. In fact, it can be overwhelming with the assortment of restaurant options. And then, of course, there are taco trucks (coming in another guide!). 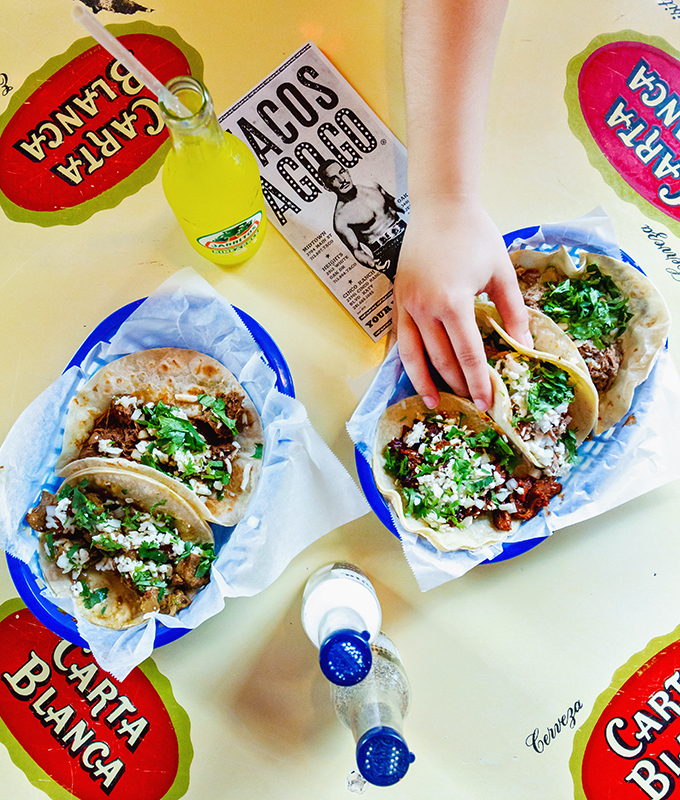 Note that we didn’t even try to tackle the best Mexican restaurants in this guide. 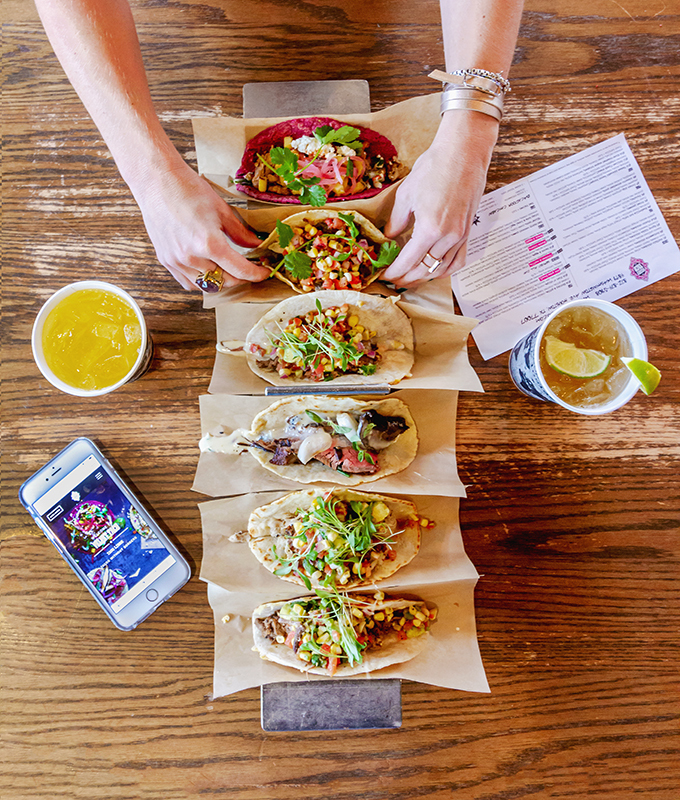 We focused purely and simply on tacos. The main thing we took into account when putting together this taco guide is, of course, taste. Then, the second and third factors we took into account were also taste and taste. Indeed, when we’re looking for a tasty taco, the atmosphere comes second. We just want a great taco. 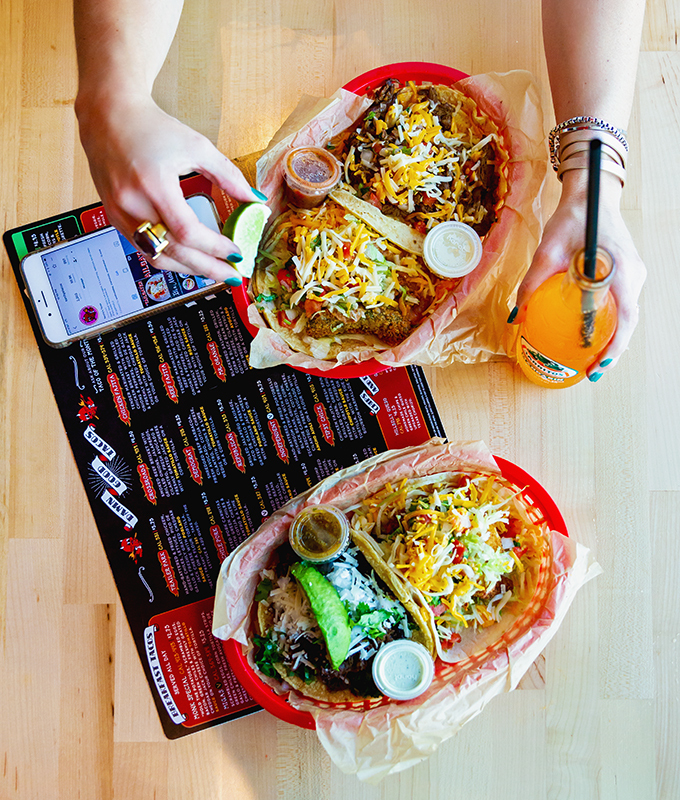 Now, let’s taco bout (see what I did there?) our eight favorite spots! 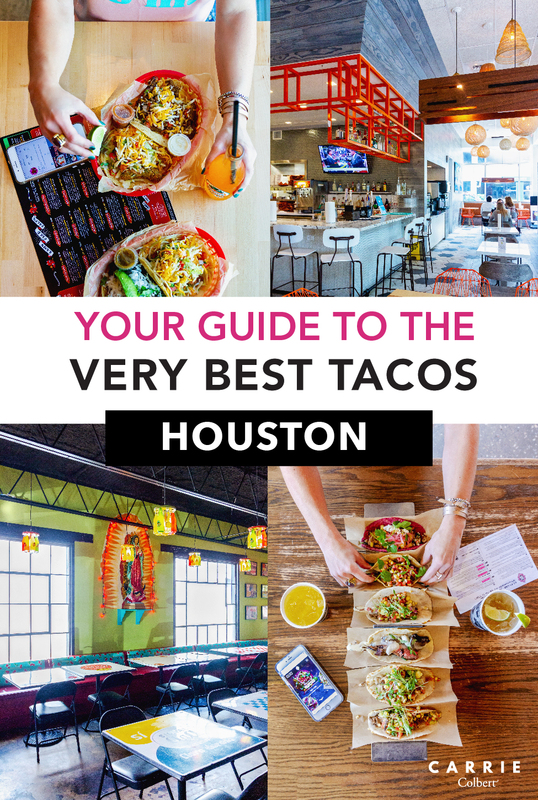 Keep on reading for where to find the very best tacos in Houston, along with our original photography for each place, comments from various team members, and a handy dandy map so you can easily locate each one. Instead of “x marks the spot”, the taco emoji marks the spots on this map! 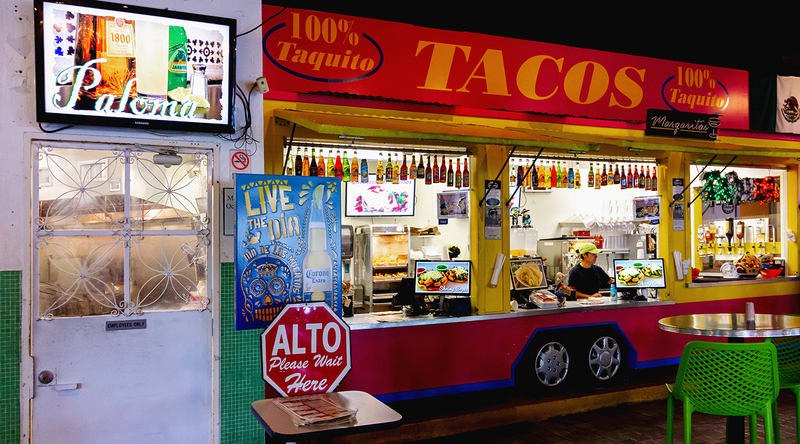 If you’re looking for authentic, no fuss tacos with a fun, casual, authentic atmosphere, 100% Taquito is the place for you. Carrie: Oddly enough, this spot brings back memories of MBA school for me! That’s because I had never been before my MBA years (2007-2009). My study group was composed of five students, all of whom lived in different corners of this great city. Someone mentioned 100% Taquito as a meeting spot, and the rest is history! We would meet there to study, work on projects, and of course eat tacos. These simple but delicious authentic Mexican tacos quickly won me over! Mari: My favorite spot for my family and me! Our favorites are corn asada quesadillas and corn tinga tacos. Try their tres leches and flan as well!! It’s a great family, laid back spot. 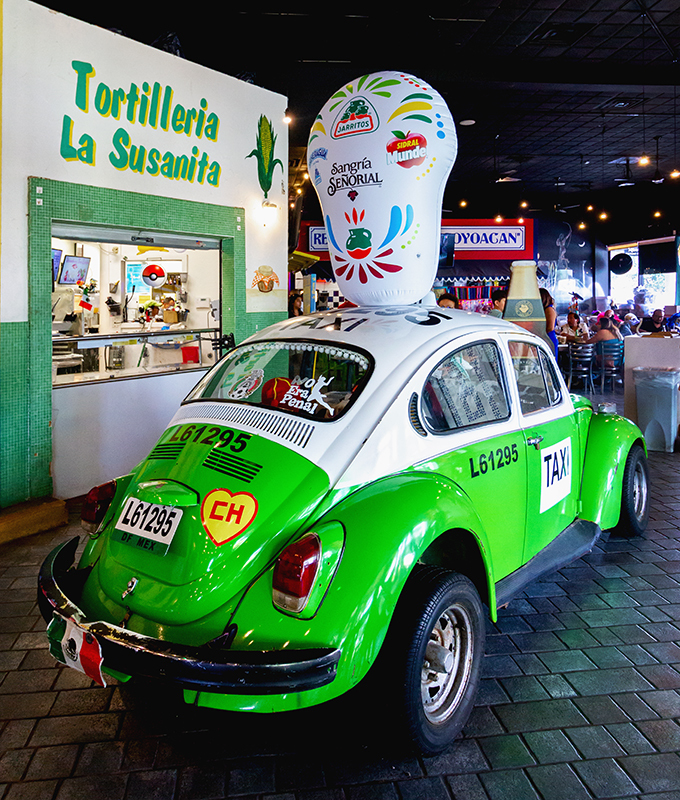 They are always playing current international soccer games on the TVs – big plus! You might remember Eight Row Flint from our margarita guide because, indeed, they have such delicious margs. But don’t leave Eight Row Flint without trying their tacos, too. They are absolutely delicious and on the happy hour menu! Carrie: I gotta tell ya… I was a little skeptical when the girls on the team told me this spot had good tacos. I knew it was a great bar, but tacos? I wasn’t so sure. 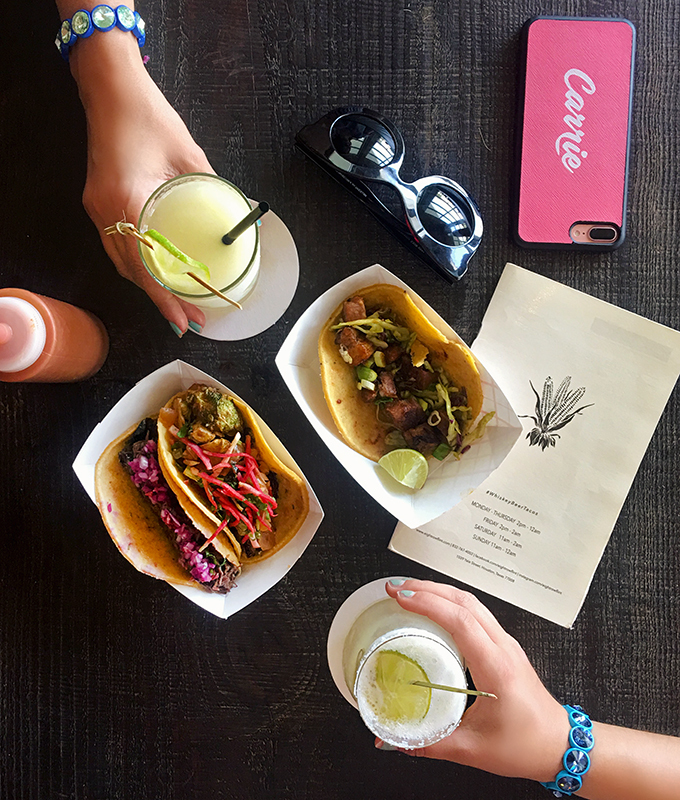 But when we went there to include them in the margarita guide, we tried the tacos. And oh my goodness – so yummy and so reasonably priced! My favorites are the beef one and the brussels sprouts one. Julie: The brussels sprouts taco is incredible!! While at first I couldn’t fathom a brussels sprouts taco being good, it totally exceeded my expectations. Plus, you kind of feel like you’re being healthy because brussels sprouts! Mari: My favorite is beef! 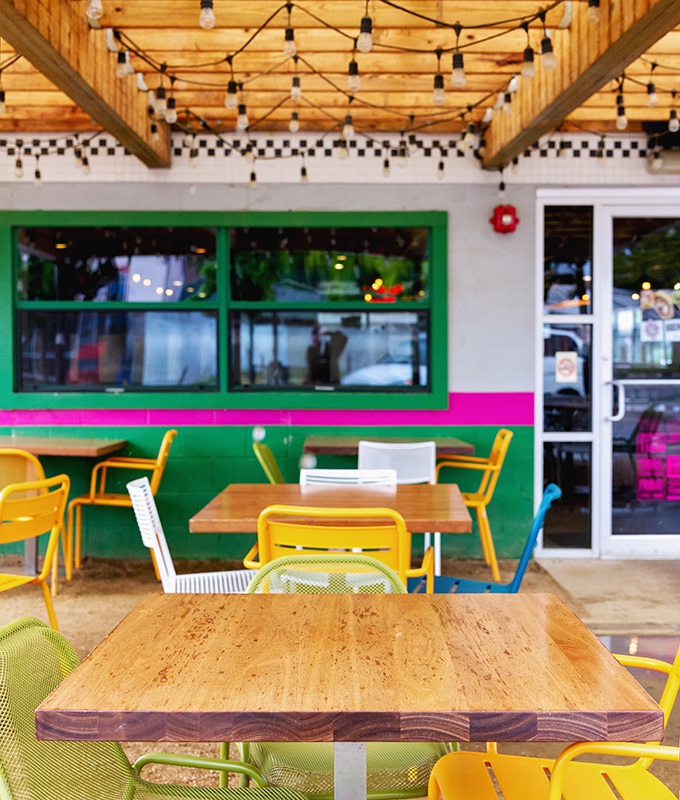 It’s a great place to come for happy hour drinks and tacos. If you only want tacos to go, you can go to the taco truck outside where they are being prepped and prepared. Also, refer to our margarita guide! They have great priced happy hour margaritas! 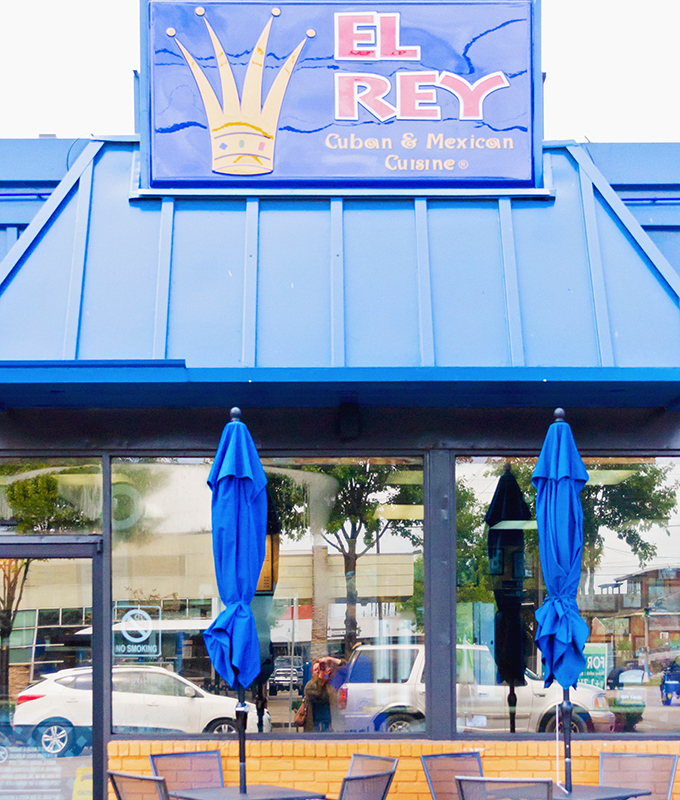 El Rey isn’t necessarily the place you go for a fine atmosphere, but it is where you go if you want scrumptious tacos, fast. The menu is vast and you can’t go wrong with any of the items on it. Julie: I know El Rey isn’t necessarily considered authentic in terms of their tacos, but I absolutely love it! It could also be because it’s only a few minutes from where I live so it’s likely you’ll find me in their drive thru line on weekend mornings (breakfast tacos!!). I also am a fan of their salsa, and while I’m not a Diet Pepsi person (Diet Coke is my jam), theirs is actually not bad! I’ve never step foot inside El Rey, but I definitely recommend hitting up the drive thru; you won’t be disappointed. Mari: You’ll find Cuban Mexican tacos here. My favorite was the cuban taco and the tinga, both on corn tortillas. It’s a small space; recommend for drive thru/carry out. As it states on their website, Fusion Taco has elevated the average taco. And that is absolutely the truth! 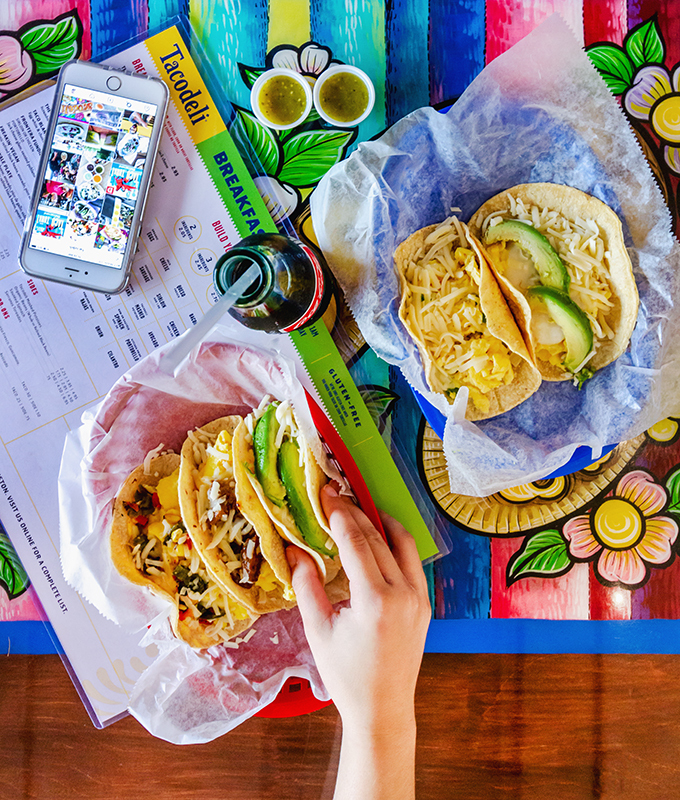 Their food truck was one of the first in Houston, and now their restaurant is one of the most popular in Houston for the perfect tacos. Carrie: I only recently discovered this place, but I’m already a fan of their unique flavors. My favorite so far was an off-the-menu tune poke taco. My second favorite is the fried oyster taco. And my third favorite is the chicken tikka marsala taco. 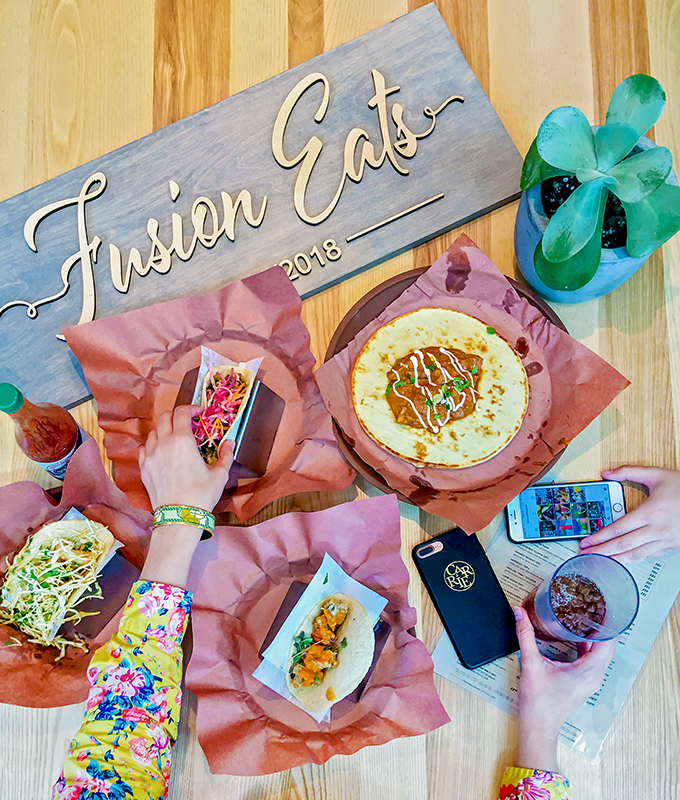 Alex: Fusion Taco puts a fun twist on traditional tacos. My favorite would have to be the tempura shrimp- so unique and tasty. Mari: Here you’ll find more innovative tacos. They aren’t necessarily authentic, but still very tasty! My favorites are Tex Mex Angus steak and seared brussels sprouts. The Greenpoint location is more “businessy” and Heights is more casual. 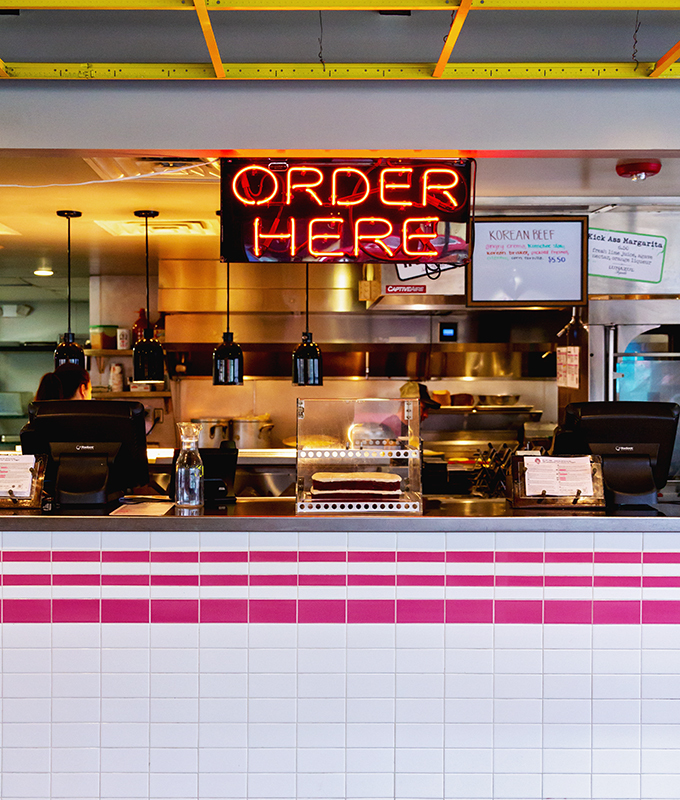 The prices are great at Tacos A Go Go and the food lives up to the hype. It’s a cool spot and definitely worth checking out. Carrie: Since the others have plenty to say on this one, I’ll leave it at this: Tater Taco + Mexican Coca-Cola = best hangover cure ever. The end. Alex: It’s the perfect place for authentic tacos! 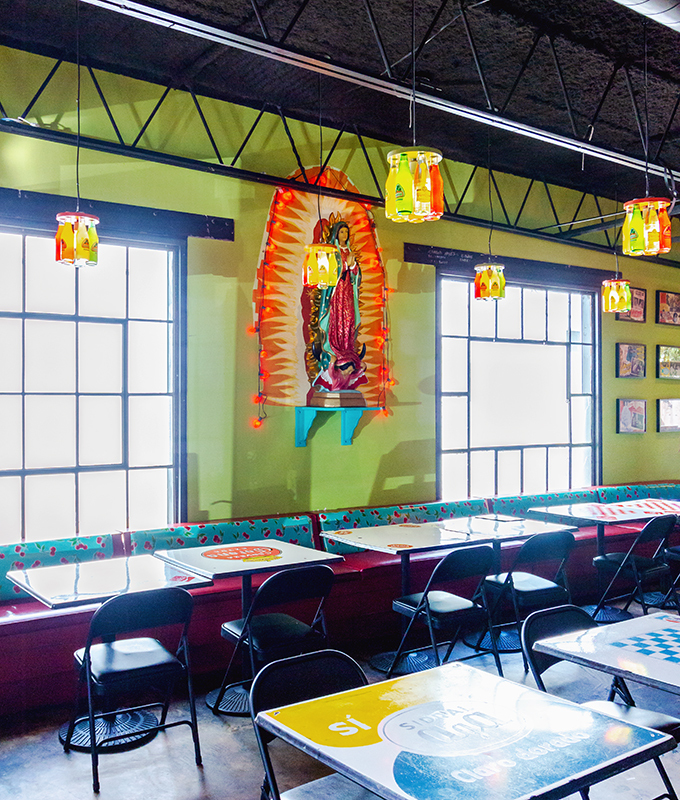 The decor makes it a fun place for everyone and is just a plus to the great tacos. Ashley: This place is one of my top favorites for easy taco places. I’m a creature of habit and tend to stick to my favorite few items – chips and queso, pork guisado, and / or the beef quesadilla. Their fajita beef Texas taco is another favorite for sure. You can’t go wrong with any of their locations; each has its own vibe. Mari: Great fun decor with several locations in town! My favorites are barbacoa on corn and tinga on flour tortillas!!! Good place for families, as well! Tacodeli’s founder grew up in Mexico City, and you can see how passionate he is about his culture in the taste of his handmade tacos. 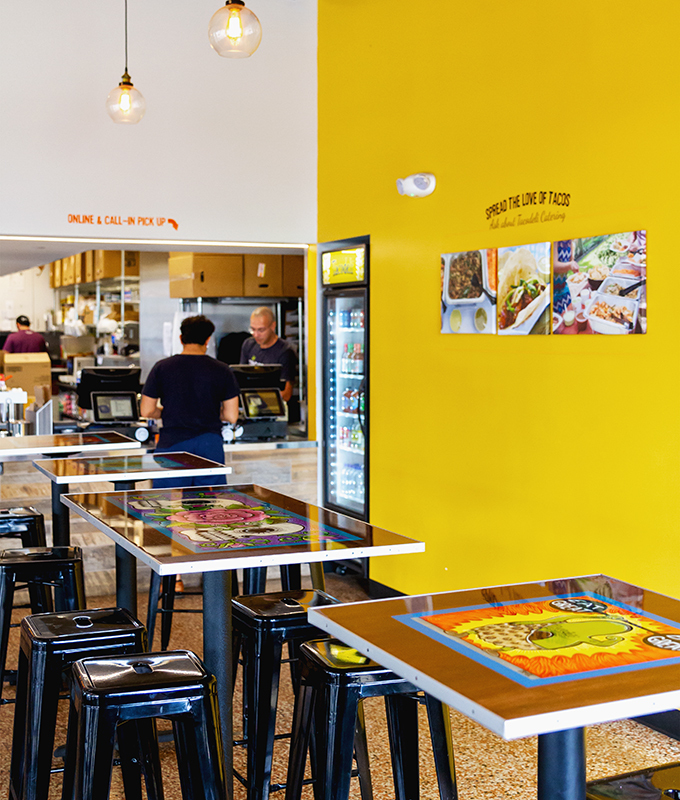 All local and fresh ingredients are used, and each taco comes out just right. Alex: Tacodeli is one of my favorite places to get tacos in Austin so when they came to Houston it was so exciting. I am in love with their breakfast tacos and highly recommend putting the potatoes on everything! Mari: The best breakfast tacos! And they have amazing daily specials. They use all local, quality ingredients! You have to go for their Saturday and Sunday pozole as well as their Sunday barbacoa tacos! My favorite tacos were “make your own” recommended by Alex (with their mash potatoes), and the sirloin, egg and cheese. 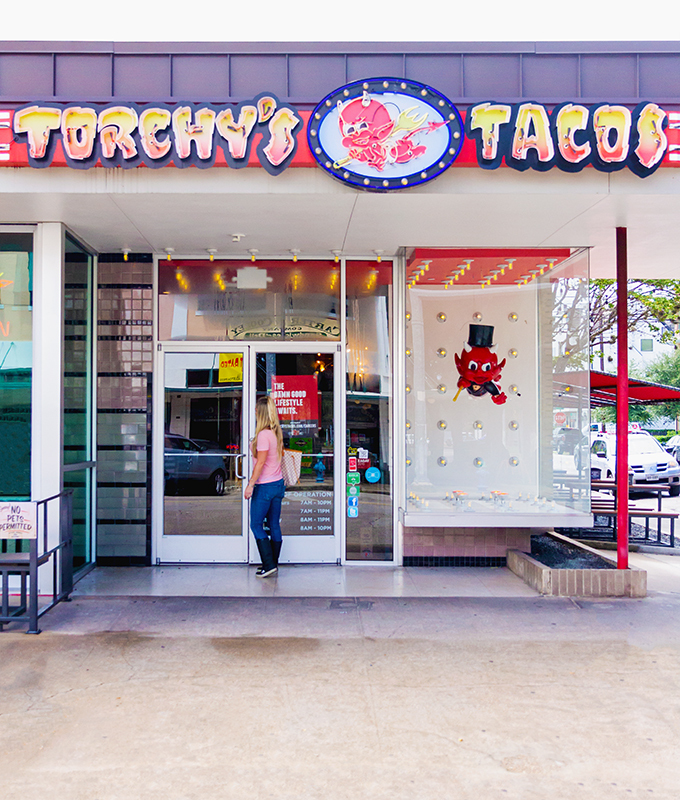 With multiple locations across town (as well as in other states), you’re sure to find a Torchy’s by you. Try both breakfast and lunch tacos, and then you might as well come back for dinner, too! Ashley: Give me their margarita, baja shrimp taco and their queso–I’m the happiest girl. Mari: My favorite is the democrat! Always order it! 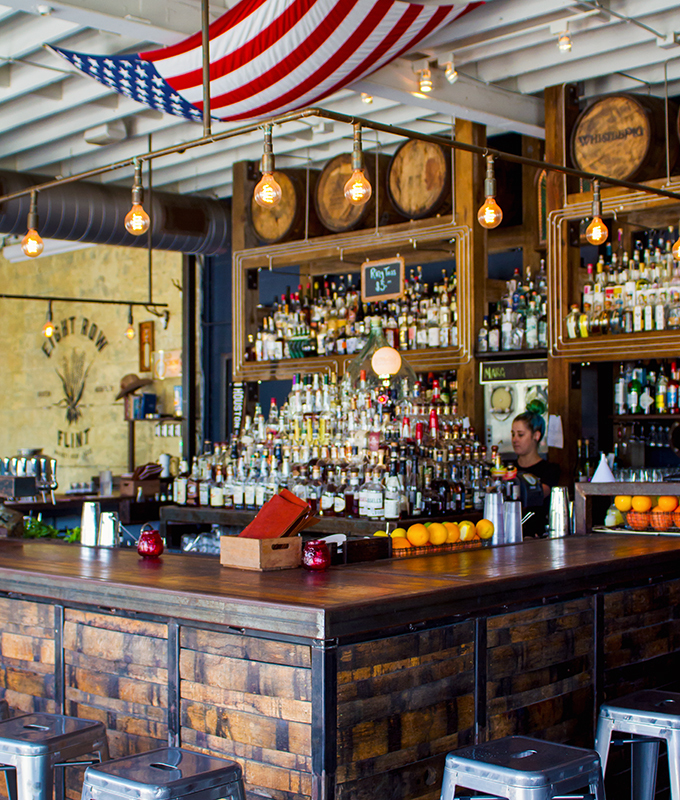 They have several locations in town, with happy hour as well. Velvet Taco isn’t messing around! Their motto is “anything goes meets the art of the possible,” and they strive to be a spot for premium food in a unique and casual setting. 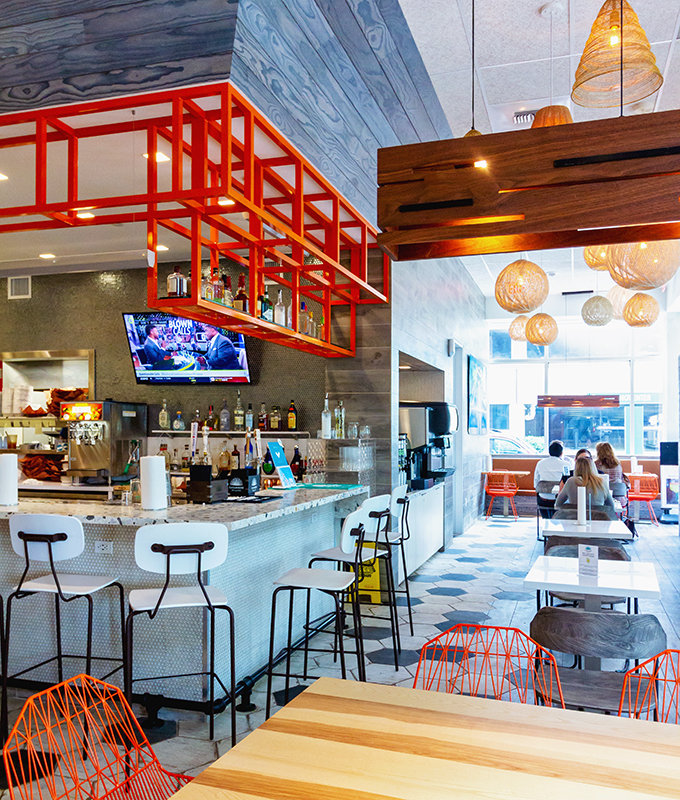 Jayme: Velvet Taco was definitely my favorite and the Montrose location (on Westheimer) is super close to me. I think it’s adorable with neon lights and fun branding, which I’m a sucker for. Everything about their tacos, from the tortilla to the massive stuffed insides, were so good. They also have a killer margarita for $6.50 and are open incredibly late. Mari: My favorite is #12 (slow roasted angus brisket). Order their elote corn and their signature red velvet cake!! 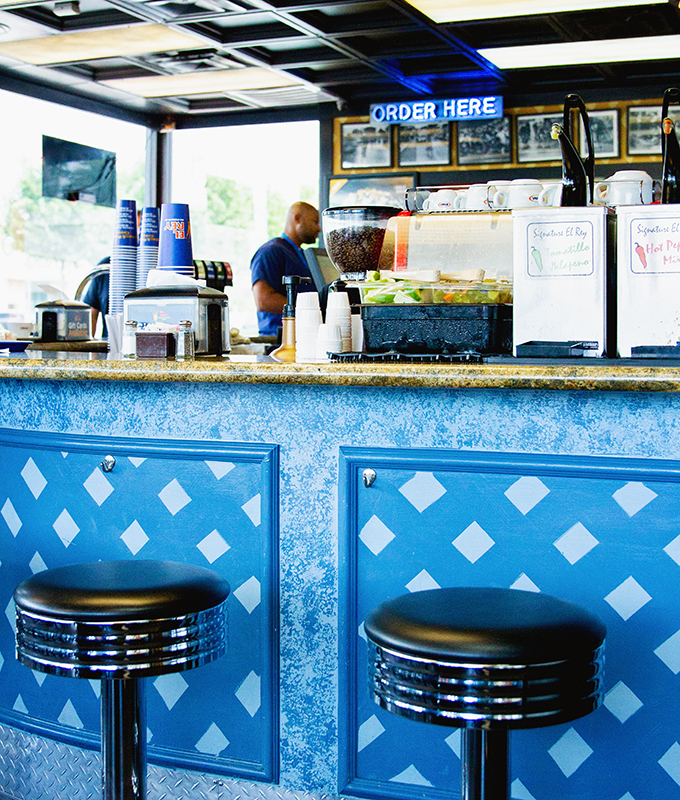 It’s a great casual spot popular for lunch time and late night eats! They have several convenient locations, as well. 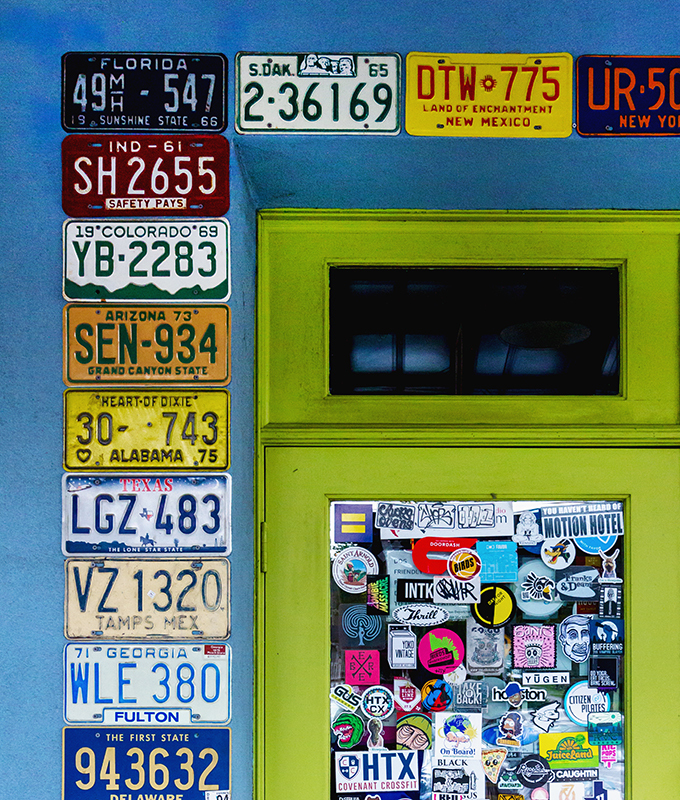 Also worth noting: most locations have colorful exterior walls good for taking photos! While National Taco Day may have passed (it was October 4th, in case you’re wondering! ), we pretty much celebrate tacos all the time – #TacoTuesday especially! 1. So, are you salivating yet? Is this what you’re having for lunch? Don’t say we didn’t warn you! 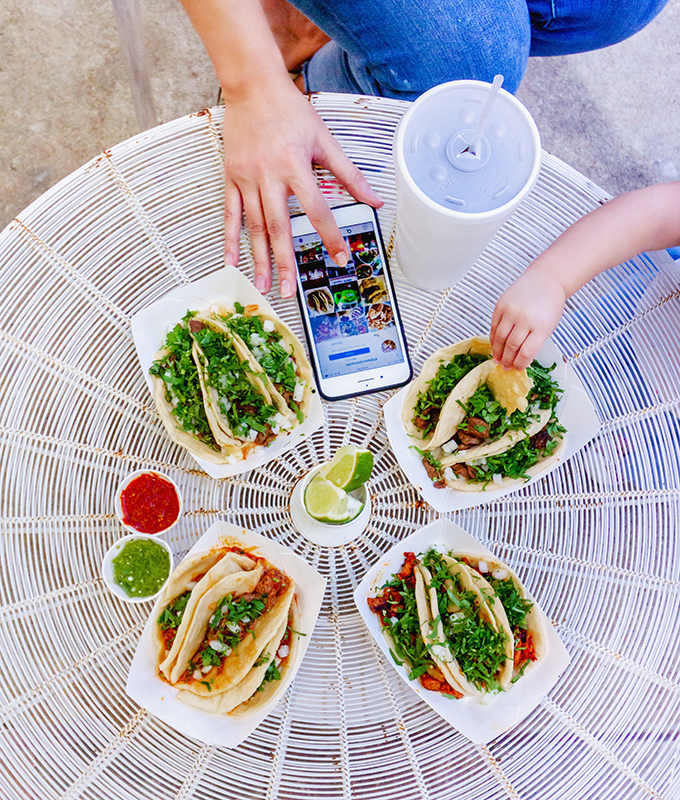 We’d love to hear about your favorite taco places. Did yours make the list? 2. We absolutely love bringing you these city guides and we hope you enjoy them as much as we enjoy putting them together. Let us know what you’d like us to cover next! 3. What did you think of the Ashley Longshore interview?! We can’t get enough! 4. Thank you, as always, for your support! Have a great day. Nooooo Villa Arcos (East End) and Taqueria Laredo (Cavalcade) are our all time fav. 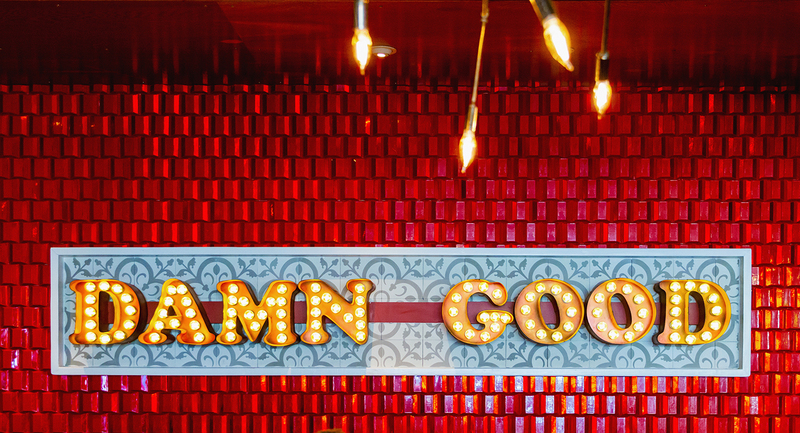 Torchy’s hits the spot too. Oh, I’ll have to check those out!! Thanks for the ideas. Unique, adorable, made in Texas children's clothing. Colorful + fun summer outfit.